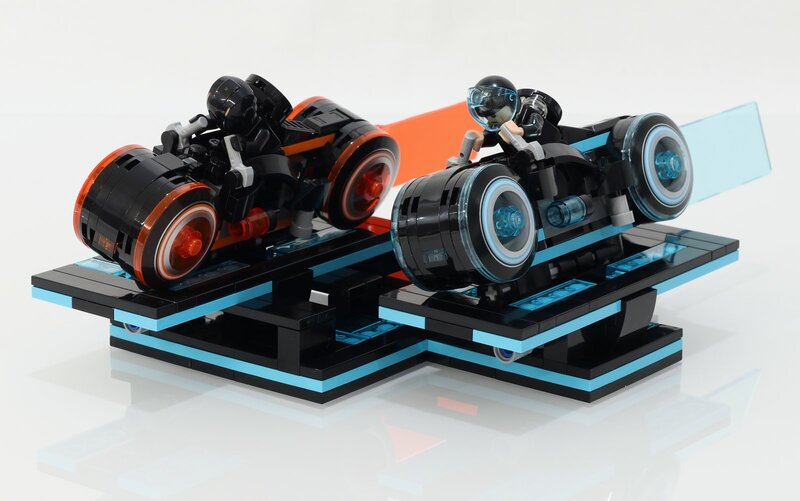 This model expands the display stand that comes in set 21314 TRON: Legacy so that you can display the light cycles in more dynamic poses. 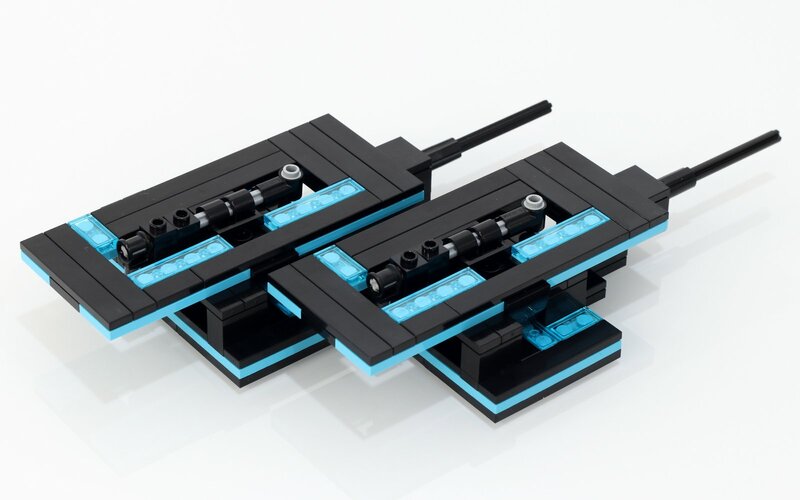 Each light cycle stand is independent, so that you can display them in different relative positions, allowing you to recreate many scenes from the movie. 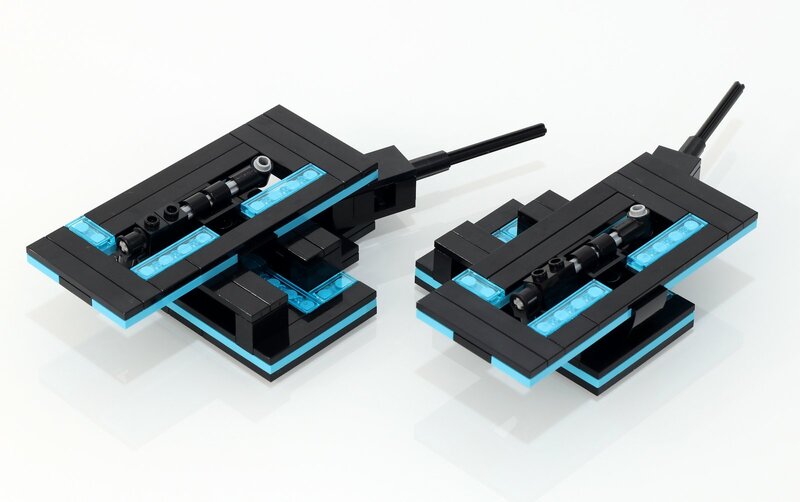 You can manipulate the control lever at the back of each stand to change the angle of the mounted light cycle while sweeping it from side to side. NOTE: You will need to disassemble the standard stand that comes in the set and use those pieces in addition to the ones included in this kit. This kit does NOT include the light cycles or minifigs.